The main reason for the trip to Eire was to visit the Irish Air Corps Museum at Baldonnel/Casement. I have provided the Museum listing as the most interesting part of the report for this forum. However after the museum list, I have left in the military training aircraft so that you can get a full picture of what can been noted. Grant had been in contact with the public relations people and a date and time had been agreed. Some of us had arrived the day before and visited a good few airfields and enjoyed some Irish hospitality. Today we would meet up with others that had been allocated places for the tour, but did not join us on the Sunday. 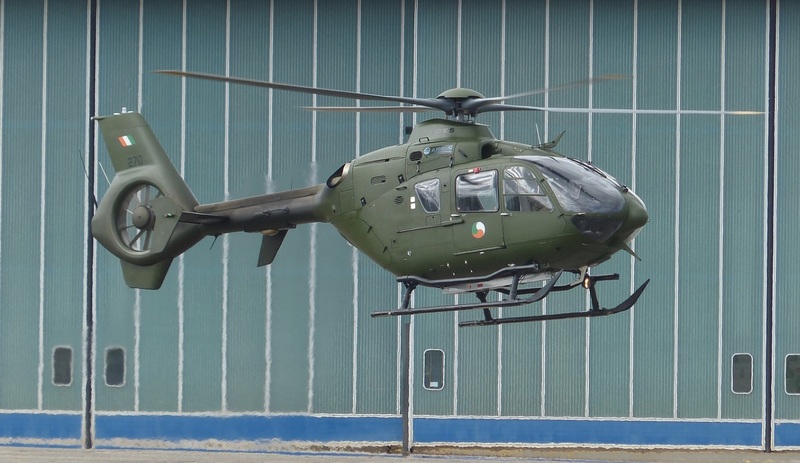 We would be escorted throughout the tour and were given permission to take photographs of everything except Garda aircraft and any other non Irish visitors. We were happy to agree with the request. So after a cup of tea in the base cafe, we started to walk the base. At the museum we were handed over to the curator, who provided us with an interesting talk and walk around the exhibits. We were then allowed free rein to photograph the aircraft. After the tour we gave the museum a voluntary contribution as a gesture for an excellent visit, as well as gave our thanks to our military hosts.